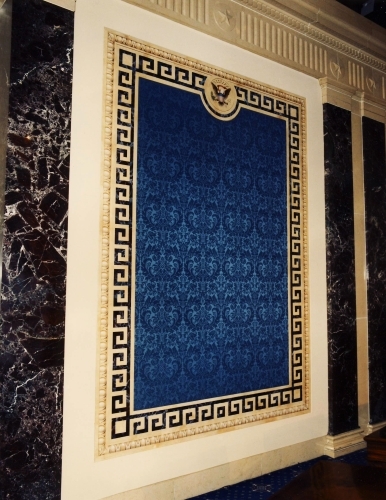 In 1997, I was asked to draft designs for new panels for the ground floor of the Senate Chamber. Senators had been complaining about the way they appeared on television in front of the old tawdry yellow panels. Over the course of 5 months, Dean Kalomas and I came up with a whole range of designs, some of which you can see here. In the end, what was agreed upon was one of my more conservative designs, with a trompe l'oeil marbleized egg and dart border and incorporating Dean's idea for a Greek key in faux marble to pick up the marble colors from the walls of the chamber. 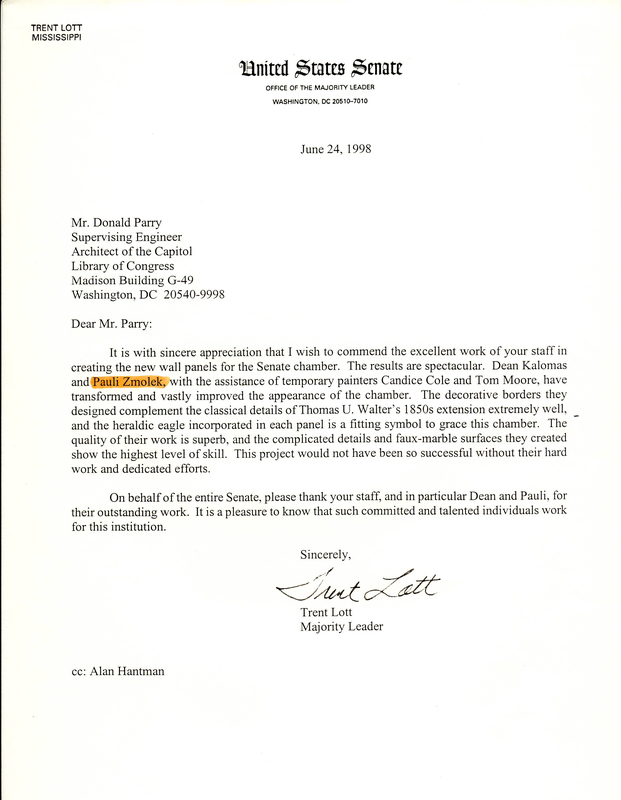 Our work was acknowledged in a letter from Sen. Trent Lott, then Majority Leader, who told us that this design was the only one that Democrats and Republicans on the committee could all agree upon. In the 2nd and 3rd images, you can see some alternate designs that we experimented with. In the last two images you can see the blue panels as they are now, versus the old yellow panels.